For the domestic equity market, the first phase of bull-run is over and it is currently in the consolidating phase. Is the bull-run over? With foreign investment flow slowing down in the last two weeks, this has been the question in everyone's mind on the D-Street. Between September 19 and October 1, 2014, an Foreign Institutional Investment (FII) outflow of $300 million from Indian equities saw Bombay Stock Exchange (BSE) Sensex losing close to 2 per cent. A small correction such as this sends jitters because in the past six months the Sensex has gained over 35 per cent to touch an all-time high of 27,354.99 on September 8, 2014. Since then the Sensex has been range-bound with downward bias. From the all-time high the Sensex has lost 4 per cent to touch 26,220.49 on September 26, 2014. Though a correction in market is healthy, the absence of a positive trigger is leading to the fading of interest in Indian market. In fact, forecasting a view on equity market for the short-term has become difficult. First because the equity market is not cheap and second volatility and uncertainty has gone up. The market has run-up on anticipation that the Narendra Modi government will bring administrative and structural reforms that would put India back on the 7 per cent to 8 per cent growth path from the current 5 per cent to 5.5 per cent. Though any change will take at least 18-24 months, the market has surged on anticipation that India is heading towards a stronger growth. Meanwhile, the focus will be on the second quarter results ending September 2014. To start with all eyes will be on Infosys result on Friday, October 10, 2014. More importantly, FII flows, a lifeline for the Indian equity market, has to remain positive. One likes to believe that there isn't any other market than India which throws huge investment opportunity. But the fact is India is still too small for FIIs and there are other markets in the region which throws good investment opportunity. Markets like Taiwan and Indonesia has also seen good FII flows in 2014. End of day its valuation that would be a determining factor to invest in India. In terms of valuations markets like Philippines, Thailand, China, Brazil and Russia are cheaper than India. With Brazil going to polls, a favourable outcome could attract foreign flows. Meanwhile, the fall in the US jobless rate to a six-year low of 5.9 per cent in September 2014 from 6.1 per cent in August 2014 will be a cause of concern as it raises expectation of an early increase in US interest rates. But it has to be seen how the US economy performs following the ending of quantitative easing (QE). So far the growth in the US economy was purely credit-based. If the US increases rate it doesn't augur well for markets across the globe, which will see outflow of money, including from India to the US. If India has to be on the radar of investors, it would depend on the government policies. Indian economy may take time to gain momentum. Though it is stable than many other emerging economies, government will have to accelerate growth by removing anomalies and increasing the ease of doing business. For the Indian equity market the first phase of bull-run is over and it is currently in the consolidating phase. But it is important to have patience as the market is still not euphoric. If the government is able to increase investment and corporate India also increases its investment, then the bull-run is here to stay. 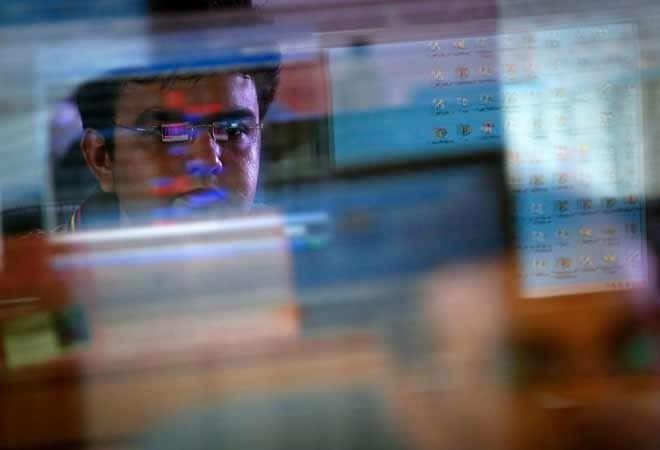 Meanwhile, in the coming week FII inflows, global cues and corporate results will continue to dictate the movement in the market, which would remain range-bound. Rupee will also play a crucial role in the Sensex movement. On Tuesday, October 7, 2014, the September 2014 HSBC India Service Purchasing Managers's Index (PMI) data will be announced. For August 2014, the HSBC Service PMI was down at 50.6. While on Friday, October 10, 2014, the government will declare industrial production (IIP) data for August. In July 2014, the IIP was at 0.5 per cent. Will RBI oblige D-Street with a rate cut?